Matching to the huge market demands, we are involved in manufacturing and supplying best quality of Automatic Vacuum Forming Machine. The offered Automatic Vacuum Forming Machine is extensively used in food, pharmaceutical and stationary industries. Our products are easy to use and durable in nature. 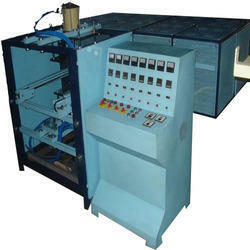 Matching to the huge market demands, we are involved in offering best quality of Vacuum Forming Machine. The offered Vacuum Forming Machine is extensively used in food, pharmaceutical and stationary industries. Moreover, the offered products are available in the market in wide range at most reasonable rates.